The following parishes are serving as host sites for the Archdiocese of Baltimore’s 2017 Our Lady of Fatima Rosary Congress. Each parish will offer perpetual adoration from Oct 7. through Oct. 13, with spiritual talks, opportunities for confession and other special events listed below. Everyone is welcome to pray in front of the Blessed Sacrament at any time throughout the Congress, and also to sign up for specific blocs of time so that someone is present in front of the Blessed Sacrament around the clock, throughout the week. The rosary will be prayed every hour on the hour. Contact the parish for more information or to sign up for a specific adoration time. Oct. 7 – Archbishop William E. Lori will celebrate an opening Mass at 5:30 p.m.
Oct. 9 – A 7 p.m. Mass for children will be offered and opportunities for the sacrament of reconciliation will be available. Oct. 10 – A special Mass for the family will be celebrated at 7 p.m.
Oct. 11 – Father Andrew DeFusco will give a talk on the Fatima story at 7 p.m. Opportunities for confession will follow. Oct. 12 – Dominican Sister Joan of Arc of Mount de Sales Academy will give a talk on the power of the rosary at 7 p.m. Opportunities for confession will follow. Oct. 13 – Bishop Denis J. Madden will celebrate the closing Mass at 7 p.m.
To sign up for adoration at the basilica, held in the undercroft, click here. Oct. 7 – An opening Mass will be celebrated at 4:30 p.m.
Oct. 9 – A Mass will be celebrated at 8 a.m. with a focus on the Blessed Virgin Mary. Oct. 10 – A Mass will be celebrated at 8 a.m. with a focus on the Blessed Virgin Mary. Oct. 11 – A Mass will be celebrated at 8 a.m. with a focus on the Blessed Virgin Mary. Oct. 12 – A Mass will be celebrated at 8 a.m. with a focus on the Blessed Virgin Mary. Oct. 13 – A Mass will be celebrated at 8 a.m. with a focus on the Blessed Virgin Mary. A closing Mass will be celebrated at 9:30 a.m., with school children supporting the liturgy. To sign up for adoration at St. John, click here. Oct. 7 – An opening Mass will be celebrated at 4 p.m.
Oct. 9 – A Mass for the Family will be offered at 5 p.m. A special presentation of music and a discussion about the Lord’s Prayer by Sam Kauffman will follow at 6 p.m.
Oct. 10 – A talk about Our Lady of Fatima and the power of the rosary will be presented at 6 p.m., with confessions following from 6 to 7 p.m.
Oct. 11 – A Mass for peace in our country and our city will be offered at 7 p.m.
Oct. 12 – St. Mark’s Choir will present a concert and sing-a-long of Marian music at 7 p.m., followed by confessions from 8 to 9 p.m.
Oct. 13 – A closing Mass will be celebrated at 1 p.m.
To sign up for adoration at St. Mark, click here. 109 Duke of Gloucester St.
Oct. 7 – An opening Mass will be celebrated at 5 p.m. at St. Mary. Oct. 11 – A night of prayer, praise and adoration will be offered at St. John Neumann Mission Church, 620 North Bestgate Rd., from 7 to 9 p.m.
Oct. 13 – A school-wide rosary will be offered for children in the upper parking lot beginning at 8:30 a.m.
Oct. 13 – A closing Mass will be celebrated at 12:10 p.m. at St. John Neumann Mission Church, 620 North Bestgate Rd. Oct. 7 – An opening Mass will be celebrated at 5:15 p.m., with a eucharistic procession, adoration and hourly rosary to follow. Oct. 8 – Adoration and hourly rosary to begin after the 11 am Mass. The extraordinary form of the Mass (Tridentine) will be offered at 5 p.m.
Oct. 9-12 – A 6:30 am Mass will be celebrated, followed by adoration and hourly rosary. A 6:30 pm Mass will be celebrated, followed by adoration and hourly rosary. Oct. 13 – A 6:30 am Mass will be celebrated, followed by adoration and hourly rosary. A 6 p.m. closing Mass will be celebrated, with consecration to the Immaculate Heart of Mary. A eucharistic procession will be followed by a social in Fatima Hall. To sign up for adoration at St. Mary, click here. Oct. 7 – Mass will be celebrated at 7.30 a.m., followed by adoration of the Blessed Sacrament. Evening prayer will be offered at 7 p.m. with a spiritual conference, concluding with Benediction. Oct. 8 – Mass will be celebrated at 7:30 a.m. and 10 a.m., followed by adoration of the Blessed Sacrament. Evening prayer will be offered at 7 p.m. with a spiritual. Oct. 9 – Mass will be celebrated at 7:30 a.m., followed by adoration of the Blessed Sacrament. Evening prayer and Mass will be offered at 7 p.m., followed by spiritual conference. Oct. 10 – Mass will be celebrated at 7:30 a.m., followed by adoration of the Blessed Sacrament. Evening prayer and Mass will be offered at 7 p.m., followed by a spiritual conference. Oct. 11 – Mass will be celebrated at 7:30 a.m., followed by adoration of the Blessed Sacrament. Evening prayer and Mass will be offered at 7 p.m., followed by a spiritual conference. Oct. 12 – Mass will be celebrated at 7:30 a.m., followed by adoration of the Blessed Sacrament. Evening prayer and Mass will be offered at 7 p.m., followed by a spiritual conference. Oct. 13 – Mass will be celebrated at 7:30 a.m., followed by adoration of the Blessed Sacrament. Evening prayer and Mass will be offered at 7 p.m., followed by a spiritual conference. To sign up for adoration at St. Peter, click here. Oct. 7 – The rosary will be prayed at 6 p.m., followed by a 7 p.m. Mass whose theme will focus on prayer and the history of Our Lady of the Rosary. Opportunities for confessions will be available from 6:15 to 6:45 p.m.
Oct. 8 – The rosary will be prayed at 6 p.m., followed by a 7 p.m. Mass whose theme will focus on hope. Opportunities for confessions will be available from 6:15 to 6:45 p.m.
Oct. 9 – The rosary will be prayed at 6 p.m., followed by a 7 p.m. Mass whose theme will focus on forgiveness. Opportunities for confessions will be available from 6:15 to 6:45 p.m.
Oct. 10 – The patriotic rosary will be led by the Knights of Columbus at 6 p.m., followed by a 7 p.m. Mass whose theme will focus on sacrifice. Opportunities for confessions will be available from 6:15 to 6:45 p.m.
Oct. 11 – The rosary will be prayed at 6 p.m., followed by a 7 p.m. Mass whose theme will focus on holiness. The Knights of Columbus will carry a statue of Our Lady of Fatima during a candlelight procession following Mass. Opportunities for confessions will be available from 6:15 to 6:45 p.m.
Oct. 12 – The rosary will be prayed at 6 p.m., followed by a 7 p.m. Mass whose theme will focus on adoration. 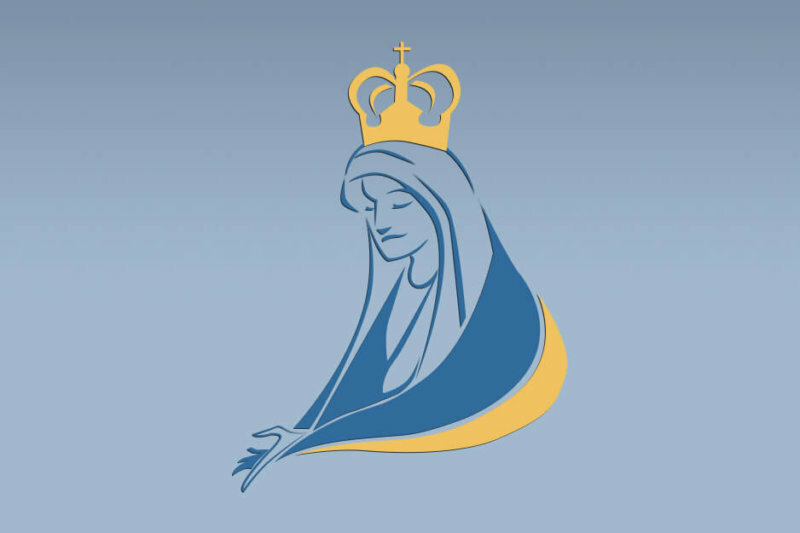 Opportunities for confessions will be available from 6:15 to 6:45 p.m.
Oct. 13 – The rosary will be prayed at 6 p.m., followed by a 7 p.m. Mass whose theme will focus on the Immaculate Heart of Mary. Opportunities for confessions will be available from 6:15 to 6:45 p.m.
Knights of Columbus in the Frederick County area who wish to volunteer as honor guards at the congress may sign up here.